By the end of March, spring was in full swing. After months of cold and storms, things started to warm up. Short, gray days were replaced with sunshine and flowers. Along with the change in seasons, DEQ’s Division of Air Quality declared an end to the 2018-19 inversion season and stopped issuing its Action Forecasts for PM2.5 pollution. The Division of Air Quality issues two types of forecasts every day during the winter. The first, Action Forecasts, notify the public of the actions needed to help combat growing pollution levels. Designed to be a proactive step, these forecasts make residents aware of worsening air quality. During Voluntary Action, people are asked to take steps to reduce pollution before it gets worse. Some suggested actions include not burning solid fuel and using TravelWise strategies to help reduce automobile emissions. During Mandatory Action, the air quality has deteriorated to the point that restrictions on solid fuel burning go into effect. The public is asked to reduce vehicle travel when possible by using TravelWise strategies and taking public transit. The second type of forecast is the Health Forecast. Health Forecasts warn people of how the highest pollution level of the day will affect their health. These are the popular green, yellow, orange or red rating based on how much PM2.5 pollution is currently in the air. How bad was the air this winter? The short answer, not too bad. Weather plays a big part in fine particulate pollution. Calm winds, clear skies and long nights prevent air at higher altitudes from mixing with air closer to the ground. This forms the dreaded wintertime inversions. When emissions from human activities are trapped under the ceilings of these inversions for an extended period of time, the increasing levels threaten human health. Between Nov. 2018 and March 2019, the Intermountain West was under a pattern that presented regular, almost weekly, storms. These consistent storms mixed out pollution every few days. Although inversions would set up right after these storms, they never lasted very long and the prolonged inversions of other years didn’t materialize. The Department of Environmental Quality monitored levels of PM2.5 at Smithfield in Cache County that had four days that exceeded the standard. This was the most of any in the network. All the other locations in the monitoring network only exceeded the standard once. This is good news for the Wasatch Front. The EPA’s standard is the 90th percentile. This means that areas can exceed eight times before violating the Clean Air Act. But it wasn’t just the favorable weather pattern. Utah residents are emitting less. 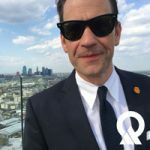 For starters, automobiles, which make up about 50 percent of the emissions in a typical inversion, are burning much cleaner. With the introduction of Tier 3 vehicles and fuels, we expect this trend to continue. Social behavior is also changing. People are taking steps to protect their health by practicing good transportation habits and avoiding burning wood. 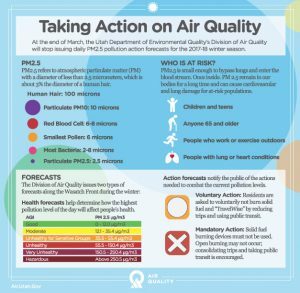 As a result, Utah’s air quality is getting better. There has been, however, an influx of transplants moving to the Beehive State. This is a trend that will continue for the next 30 years, according to most experts. Along with this migration comes more cars and more emissions. So, even though Utah has seen significant reductions in per-capita emissions, the growing population will continue to stress our airshed. Action and Health Forecasts for ozone will begin in late spring. 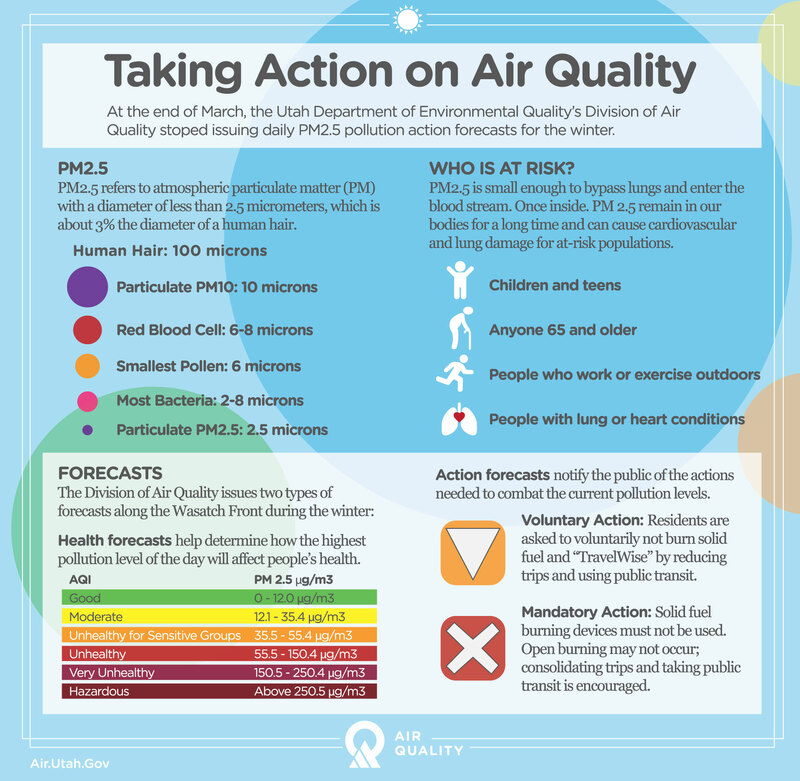 Follow the forecast for ozone pollution at air.utah.gov or download the free UtahAir app for mobile devices. I am a public information officer for DEQ and a former marketer and magazine editor. Follow me on Instagram @Jarv801.